Tired of that lingering smell? Odors in homes and buildings can arise from many sources. Allow us to show you why we’re Cincinnati’s premier odor removal provider. Odors are gases or vapors, which emanate from a source into the air where the individual then perceives them. What is the best detection of odor? The human nose is the only and best instrument capable of detecting the presence and intensity of odors. What three physical characteristics make odors more apparent? The basic principles of deodorization. What are the classes of chemicals and deodorants? Can you get rid of my pet urine odor? 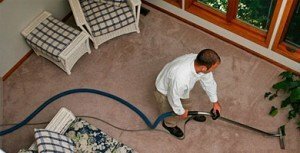 Urine odor contamination usually requires more extensive techniques than other odor removal services. With our highly skilled technicians we are equipped with identifying and detecting the problem areas to resolve them completely. Is mold odor a real issue? Mold/Mildew smells are ever too common. We are fully serviced to perform a complete mold remediation if necessary, as this typically is a 2-step process in removing the source of the contamination as well the odor following. I just bought a house and the previous homeowners were cigarette smokers. Can this be removed? Yes, these odors have been successfully removed in prior cases. Environmental tobacco smoke penetrates deeply into any surrounding materials due to its particle range size is between 0.01 to 1.0 microns. Special treatments are customized for each individual case to rid these odors. There’s a horrible smell coming from our crawl space. I believe it’s a dead animal. Will this smell ever go away? As time proceeds the smell of any decomposed animal will intensify. Our technicians are equipped with the special training of navigating confined spaces as well locating and removing the odor that will remain once the decomposed animal is removed if not treating correctly. I’ve had a small kitchen fire, but am constantly reminded of this horrible event due to the lingering smell. There are several important factors such as what materials burned, and the duration of the fire. This information will allow us to properly remedy these areas to completely remove those haunting smells.